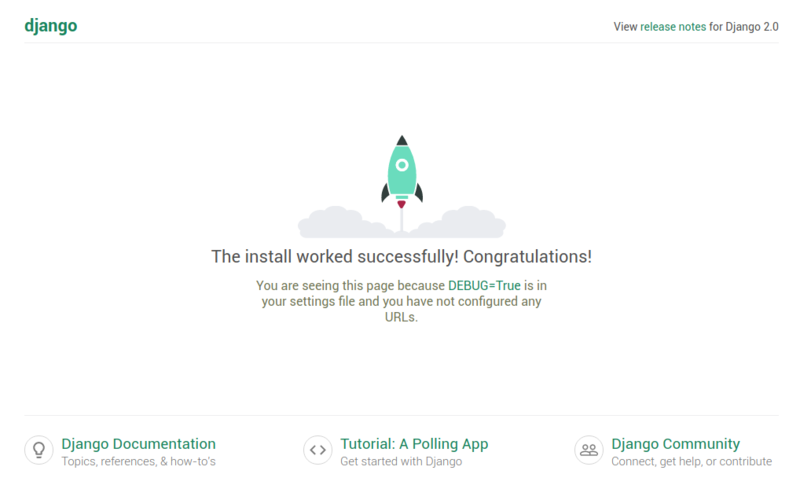 This post will explain how to start from scratch to dockerize Django 2 app with docker compose. Lets not waste time and go to the following steps. 1. Let’s make an empty directory named dockerize-django-app and add another folder inside name it web. web should contain the Django project. # the application rather than buffering it. 4. Let’s create a file called docker-compose.yml in the root of dockerize-django-app directory. The docker-compose.yml is used to describes the services that make our app. Here we only need a web service(Django). It also describes which Docker images these services will use, how they will link together, any volumes they might need mounted inside the containers. Finally, the docker-compose.yml file describes which ports these services expose. command: django-admin startproject mysite . Here we specify that we use the version 3 of docker-compose and we have only one service called web. The web service will use the 8000 port inside the Docker container and expose it for the host machine. The command django-admin startproject mysite . is used to generate a Django project named mysite in the current directory (/web/). 5. Let’s Build and Run the project to create a Django project directory structure. In this tutorial we have see how to setup and run a very simple Django application with Docker using docker-compose.